First is the worst, second is the best, and the third one allegedly has the treasure chest. I have my doubts about that whole saying. However, these third singles could take the gold if they get enough attention from radio stations and retail. Will these two mainstream bands find that the third time is the charm? Here’s a preview of two songs you can expect to hear later this spring and summer. No Taylor Swift remakes here. When folk music became fashionable on mainstream radio, our new favorite folksters from Colarado were blazing the trail with top five hit, “Ho Hey”, a foot-stomping, shout-it-out jam in just about two-and-a-half minutes. The multi-format smash continues to receive a lot of airplay today. Followup single “Stubborn Love” is already a hit at Alternative radio and it’s being serviced to CHR radio at this point. “Stubborn” is also a former #1 song at AAA radio, where this next single will be headed in just a few weeks. It’s available for airplay at this point, but no adds date has been revealed thus far. Something tells me that it won’t submerge into the seas of songwriters on that radio format despite that song title. 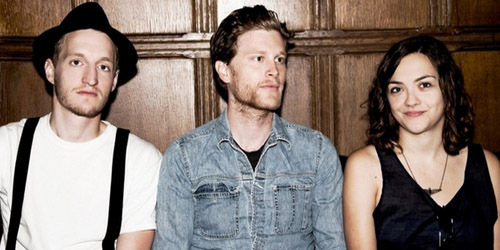 “Submarines” was co-written and produced by band members Jeremiah Fraites and Wesley Schultz. It’s a weird subject matter for a single, but I think it will be the subject of a lot of analyzing should it blow up. The narrator talks about Japanese “submarines/Underneath deep blue seas/…No one will believe me.” Now, originally I thought it would have something to do with Pearl Harbor, but Baldwin Bay is also mentioned in the lyrics, which is off of Long Island. Huh? Is it a dream? Is it a symbol for something that happened for one of the writers of the song? Eerie ending, too: “In the end it boils down to credibility/I had none, so I will die with the secrets of the sea.” Goodness. There’s too much to unpack with this song. (Anybody want to help me out?) Although I think it’s meant to be another tune to tap your feet to, the drums almost sound like gunshots being fired out of a cannon. Better watch your hat. I do like the focus on piano on this song, however. It’s clearly not meant to be a pop hit, because tweenagers would probably turn the dial within five seconds of it starting, but it’s a good enough. It should swim rather than sink on their core formats. Will either track become the breakout hit of the summer? Will they fade within the musical landscape? Let me know in the comments or on Twitter: @AdamFSoybel. They’ve made this place their “Home”. From mandolins to violins, there’s no denying that folk is the hot genre now both at radio and at retail. Once a music style that could only make Alternative listeners happy, it’s now fully made its way into the mainstream through key records like “Ho Hey” by The Lumineers and “Home” by Phillip Phillips, which have both made the top ten. It’s refreshing to many listeners who are tired of hearing the same old dance and pop material on their regular station, who can now skip seamlessly from a booming beat to a banjo. I feel as though I’m in that category, to an extent. However, it’s also very polarizing at a format which typically caters to teens; it’s not as though Mumford & Sons have the boyish looks of One Direction or The Wanted. With lots of recent GRAMMY nominations (and a few wins by Mumford & Sons) as well as a continual push of other new folk-based acts to crossover, it seems that 2013 will be an even bigger year for the genre in terms of its wider success. Yet, it’s bound to fall at some point. How long will this folk explosion last? Here’s why I think a backlash is coming sooner than you think. Folk’s transition into pop music is a complicated thing because it’s technically two trends coming together at once. One is the genre itself, which I’ve already talked about: more organic sounds, more attention to lyrics, minimalistic arrangements and final product, etc. It’s far different from your glossy 3 1/2 minute pop single by Rihanna or Taylor Swift. The second of the two is a more basic item found in the composition: the incorporation of one-syllable words used as a call-and-response measure. In the aforementioned “Ho Hey”, we hear the emphatic “HO!” followed by a “HEY!” and these are repeated for the duration of the single. In “Little Talks” by Of Monsters And Men, it’s reduced to just a “HEY!” which is heard several times in the post-chorus exclusively. It’s just like any other temporary fad as of recent; remember the saxophone solos in songs like Katy Perry‘s “Last Friday Night (T.G.I.F. )” and the whistling in Foster The People‘s “Pumped Up Kicks”? Exactly like that. It makes the song catchier while bucking a popular trend that’s blown up at the time. However, unless someone new comes along that tries to recreate this concept in the same sort of pattern, this is where it ends. The followup to “Little Talks” is “Mountain Sound”, which uses claps, but it’s not as distinct as the shouts. “Stubborn Love”, however, does have a sort of call-and-response section, but it’s not nearly as catchy as the one in “Ho Hey”. At least “Keep your HEAD UP!” and “LOVE!” don’t strike me that way. I don’t think either one will do well at mainstream radio for that and a number of other reasons, but that’s just my opinion. Point is, once one domino falls, so does the other. If the sing-along songs go, folk will eventually retreat. For those of you who believe that history repeats itself, the folk-based movement reminds me a lot of what happened twenty years ago at the CHR format. By the early 90’s, a lot of the hair bands like Mötley Crüe, Poison and Whitesnake were on their way out of the mainstream consciousness. Some, like Bon Jovi and Def Leppard, were able to adapt their sound by promoting softer sounding records, but for the majority of groups, 1991 and 1992 was basically their curtain call. At the same time, a sub-genre of rock out of the Pacific Northwest began gaining attention nationwide and in 1992, this resulted in a hit single that led a movement into the depths of grunge. You can probably guess that I’m referring to Nirvana‘s top ten hit, “Smells Like Teen Spirit”. Several months later, the Red Hot Chili Peppers made it to #1 on the format with “Under The Bridge”. While not a grunge band, the song set the mood for other slower tempo songs by bands like Pearl Jam, Radiohead and Stone Temple Pilots to hit the chart, which then led to even more obscure alternative bands making the top 40. I mean, remember when Letters To Cleo and Mazzy Star had top-40 hits? Punk bands also hit the survey: Green Day, The Offspring, etc. Alternative, grunge and punk took over the format, which only furthered CHR’s identity crisis, and led it to dismal ratings for several years. Even Z100 in New York City, the biggest pop station in the United States, had an Alternative lean in the mid-90’s. It was good for fans who wanted to rock, but stacked next to records by Ace Of Base, Elton John and Mariah Carey made it a mess overall. Ratings increased several years later when boy bands and teen female singers became popular and pushed a lot of Alternative crossovers into smaller rotation slots, eventually to Hot Adult Contemporary radio as the 2000’s began. The same sort of thing is happening now. A lot of crossover rock bands that did particularly well on CHR in the early-to-mid 2000’s (3 Doors Down, Linkin Park, Nickelback, etc.) have seen their last significant success at the format and are now strictly being relegated to the Hot AC chart in addition to some limited Alternative or Active Rock play. 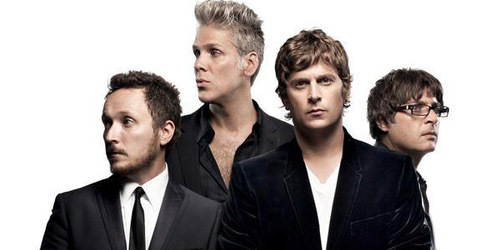 This also includes acts like Lifehouse and Matchbox Twenty, and Train will be at this point (again) in another few years. None of these examples are hair bands, it’s true, but they’ve been shafted for our dear folk acts, who I’ve mentioned several times. It started last year with the slow rise of “Home”, the signature record this time around, and has blown up at this point. 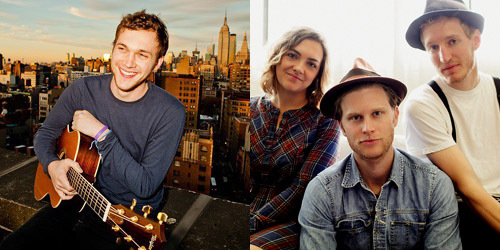 Pretty soon, new singles by Matt Hires and The Dunwells, twisted around in folky goodness, may be joining them. They’re already picking up station additions at the lighter formats. Yet, again, how do we transition from a Pitbull song to a Mumford & Sons song to a Britney Spears song at Top 40 radio? It sounds awkward as heck. Yes, it’s great that variety has once again shined through, but is too much of something a good thing? Oh, and don’t you try to tell me that every pop song sounds the same and every folk song doesn’t. Same twang. Same instruments. Same slight rasp in the vocals. It’s all there. Some stations are more committed to playing these songs; other radio companies hold off on these kind of singles until they make it up to a certain point in airplay for the sake of maintaining a Rhythm lean. Question is, what will be the shift that takes down folk if there is any? If there’s not, will we be looking at a massive free fall like we did two decades ago? This post isn’t meant to bad mouth folk music. I think it’s awesome that programmers and fans alike can share in a good song or two and that a genre that’s been under-appreciated at this type of radio in the past can be rejoiced. My main concern is with the CHR format itself and how relevant it can be if it keeps going the way it’s going. While it could once regularly appeal to older listeners just as it is today, it’s not going to be sustained for years to come. There’s no doubt that, in the meantime, established artists will begin to play around with folk instruments in their new material in the same way that rock bands tried out disco-influenced singles in the late 1970’s. However, with the attention span of top-40 radio today, which is quick (albeit, not as quick as in the 70’s and 80’s), folk may be out of fashion tomorrow. Who knows? For the moment, it’s here to strum on, but don’t say I didn’t warn you when radio tells those folk folks to “pluck off”. How do you feel about folk music’s sudden rise? Do you want it to stay around or go away? I’d love to hear your thoughts. Let me know in the comments or on Twitter: @AdamFSoybel. That’s a whole lotta “Love”. No, this is not a hot Rick Springfield remake. Their third single, “Daylight”, isn’t falling off the charts quite yet, but a music video is in production for this fourth single from their album Overexposed. The song was co-written and co-produced with Ryan Tedder, lead singer of OneRepublic and Nate Motte of the duo 3OH!3, along with lead singer/songwriter Adam Levine, songwriter Derrick Cagaanan and songwriter/producer Noel Zancanella (he’s a part of Tedder’s Patriot Records.) Most of the band’s albums have gone four singles deep, so expect this one to likely be the last release from it until their next studio release, which is already in the works. “Somebody” sees the group in a more dance direction than the previous hits, which are straight up pop/rock, but it’s an easy transition for Levine, who doesn’t miss a beat. Plus, I’m sure the fact that Motte and Tedder are behind the soundboard probably influenced the overall feel of the song. The song itself is about a guy looking for romance from a girl, who can “take [him] all the way” so that he can feel complete. Yet, he states, “if I fall for you, I’ll never recover/If I fall for you, I’ll never be the same,” which seems to indicate that the girl may be a risk for him. Oh, well, he still wants her, so don’t blame me if she turns out to be trouble. It’s a decent song, nothing new or great, but because it’s Maroon 5, it’ll probably be a mid-charter before leaving the national surveys in the spring. Levine should be back on television judging on the show The Voice by the time this song is gaining airplay, so at least it will be promoted well enough. Maybe the clip for it will premiere on there. For more new music as it comes in, follow the blog and let me know what you think on Twitter: @AdamFSoybel.